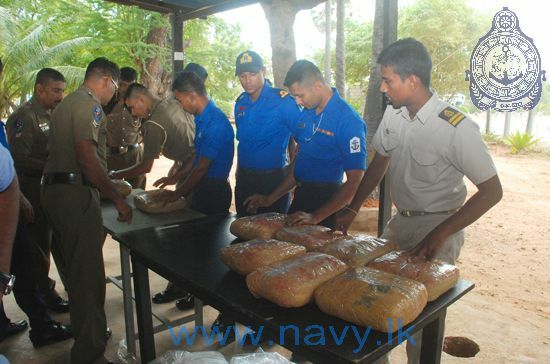 The Sri Lankan navy claims to have recovered parcels containing 83.5kg of Kerala cannabis, at Kankesanthurai in Jaffna earlier today. The drugs were reported to have been packaged into 39 different parcels and then dumped at sea, 8 miles north of the coast. The latest report comes after Tamil UNP MP Vijayakala Maheswaran said politicians from the South of the island are responsible for supplying the drugs in the North, earlier this month. On previous occasions, Sri Lankan soldiers have been caught smuggling drugs in the North-East.